Just then you thought it was safe to buy a 4K UHD TV, 8K UHD TVs begin rolling out. While a large part of the world is still at 1080p or lower resolution, and 4K UHD struggles to emerge from tech puberty, the TV industry thinks it’s time for you to buy an 8K UHD TV. 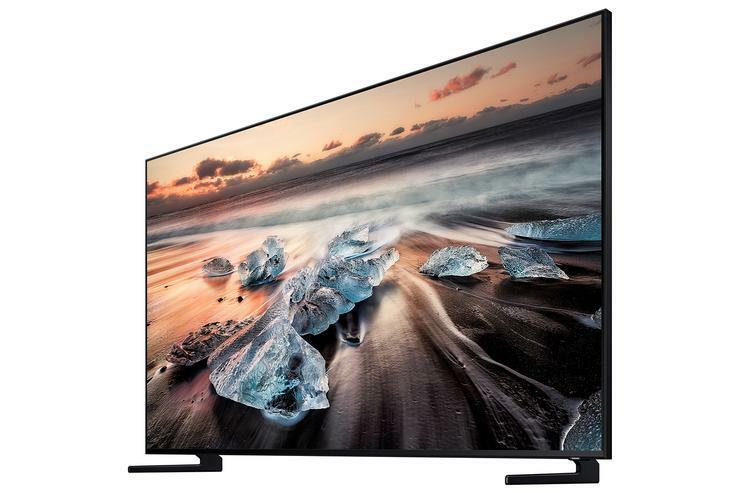 Samsung announced the October availability in the U.S. market of its 85-inch-class, 8K UHD, Q900 QLED LED-backlit LCD TV. Smaller models will be available in other parts of the world, but here in the land of the SUV, we get an 85 incher. Samsung says there will be an uptick in image quality compared to other QLEDs, and that its online database of upscaling templates will produce sharp images from 1080p (1920 x 1080) and 4K UHD (3840 x 2160) material. As there’s practically no 8K UHD content available as yet (the 2020 Olympics promise 8K), that’s a good thing. LG didn’t specify a street date—or even indicate which markets it will compete in—but the company has also announced a new 8K UHD TV. It’s an OLED, not surprisingly, an 88-incher. “LG’s first 8K OLED TV is the pinnacle of technological achievement and the next evolutionary step in display technology,” said LG Home Entertainment Company president Brian Kwon. Neither company has revealed the price tags for these monster TVs, but rest assured, they won’t be cheap. And for the record, 8K UHD will have a 16:9 aspect ratio, same as the Blu-ray standard. So the full resolution will be 7680 x 4320 pixels, not 8192 x 4320. The main issue with 8K for now is the aforementioned dearth of content, though plans for delivery are further along than you might think. 8K UHD will eventually deliver greater detail in its purest form (i.e., not overly compressed), but it’s likely to remain a be-prepared-for-the-future, early-adopter technology for quite a while. We’re nonetheless looking forward to our first visit with an 8K UHD TV.